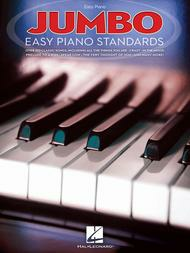 A comprehensive collection of over 150 standards arranged for the intermediate-level player. Includes: All the Things You Are • Autumn in New York • Bella's Lullaby • Crazy • Daddy's Little Girl • For All We Know • If • In the Mood • Nadia's Theme • Tangerine • The Very Thought of You • and more! 511 pages of music! I love this book. The pieces are easy enough to play just for fun, but there are still jazzy harmonies in the arrangements that keep them from sounding too basic. These pieces also lend well to improvising for those who are bold enough to go beyond the printed notes. 21 of 31 people found this review helpful.